Friday night I had a free few minutes right after dinner time and decided to do a mini photography session with my daughter. Often I get asked about mini sessions and if they will be long enough to capture great images of children… And I always answer, yes! I have a lot of tricks up my sleeve to be able to connect with children quickly, and most importantly, get authentic expressions and smiles on camera. Because I like to make things fun, we have a great time and laugh and run and jump. There is a chance I might embarrass myself with loud off-key singing. I am able to create beautiful images of your children and we are creating fun memories along the way. 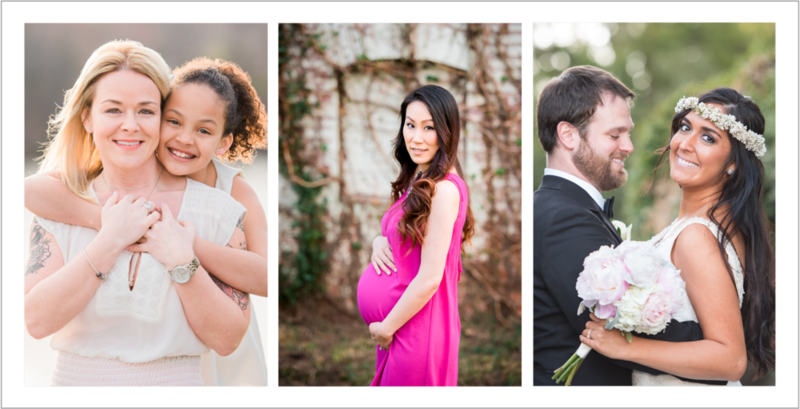 The images I have captured below are just a small handful of gorgeous shots that I created in less than 15 minutes during our session. Contact me if you're interesting in discussing a mini photography session for you or your family! My mini sessions are only $225 do include your choice of digital images from an online gallery. I also offer custom wall art so you can get those gorgeous portraits off your computer and into your home! I can't wait to decide which of these images to put on a metal print. I might have to have more than one! Get in touch with me if you are interested creating some gorgeous portraits of your family!